Future of Water: It’s time to act now! CII / Sustainability / Future of Water: It’s time to act now! India’s growing population and economic diversification until now has been supported by its natural resources. However, even though India is naturally blessed with immense water resources, water scarcity has become a tremendous concern in recent times. According to a NITI Aayog report, water challenges are set to intensify, placing at risk the rapid growth that the country has experienced. It forecasts that by 2020, it is likely that 21 cities may run out of groundwater. By 2030, the country’s water demand will be twice the available supply, entailing an eventual loss of about 6% of the country’s GDP. The average annual per capita water availability in the years 2001 and 2011 was assessed as 1820 cubic meters and 1545 cubic meters respectively, which may reduce further to 1341 in 2025 and 1140 in 2050. This continuous decline in water availability can, however, be curtailed through strategic measures which if taken now, can help make India’s growth more sustainable. Water has a very significant impact on the economy of an agrarian country like India. It is an essential resource in economic production and an enabler of trade. Investments in water infrastructure are, therefore, fundamental so as to minimize possible GDP loss. Both the Central and State Governments have distinct roles to play in water conservation. The ‘Namami Gange’ Program, an integrated conservation mission, aims at conservation and rejuvenation of the National River Ganga, while also acting to mitigate water pollution. The Central government has also been actively undertaking artificial recharge measures for ground water replenishment. As a result, rise of water level is now being seen in various places. State Government initiatives like ‘Sujalam Suflam Abhiyaan’ in Gujarat, ‘Niruchetu’ in Andhra Pradesh, ‘Jal Svalamban Abhiyaan’ in Rajasthan, and Central Government initiative such as ‘Pradhan Mantri Krishi Sichai Yojana’ have also been instrumental in conserving and recycling water. The State Government of Rajasthan has used innovative techniques like geo-tagging and drone surveys which have facilitated the increase in water level by 5 feet in many districts. Policies have been formulated which enforce the usage of treated waste water in municipal areas, thermal power plants, big industrial units, construction industries etc. This reduces the dependency on fresh water supply. The industry too, has come up with schemes and programs to effectively manage water scarcity. The CII Center of Excellence on Water, CII-Triveni Water Institute, was set up to enable India to progress towards achieving water security by 2022. The goal is to transform water conservation and management in India by changing the mindset and behavior of stakeholders, resulting in more effective and sustainable water management practices at the grass root level. The Institute provides unique services that make use of innovative state-of-the-art digital analytic tools and frameworks to enable engagement with various stakeholders for improving water security in the country. Robust and scientific planning and evaluation of water resources is undertaken by the institute using its Water Planning and Assessment Tool (WATSCAN). The Tool is an integrated IT driven, GIS and remote sensing decision support system that enables comprehensive watershed evaluation and helps to devise community-centric water management interventions. WATSCAN enables spatial and temporal analyses using various satellite and secondary databases on topography, land use, drainage, soils, rainfall, temperature etc. The tool derives outputs based on a strong mathematical interplay of various inputs and parameters. The comprehensive evaluation of water resources at a sub-regional level helps the region, usually a district, to find solutions for water-stressed areas such as mini-dams, ponds, channels, and so on. 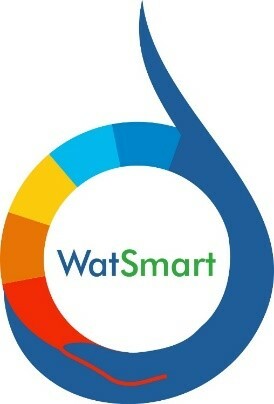 ‘WatSmart’ has been especially formulated by the Institute. This tool assesses individual plants, buildings and facilities for efficiency of water management levels, both within and outside the building/facility. It uses global, national and locally relevant norms and applies them to determine how the building/facility can save on water usage. This naturally also saves on costs, thereby emerging over a certain period as a viable tool for competitiveness and sustainability of the facility. Till date, CII has done 175 water audits with potential saving of around 150 billion liters of water. This is enough to supply 2 days of drinking water to rural India. In addition to this, CII Water Institute provides training to wastewater operators. In states of Punjab, Haryana, Western UP, Andhra Pradesh and other places, water utilization is not in accordance with the crop cultivated, occasionally escalating to 5 times the required amount, thus causing unnecessary wastage of water. In such situations, it becomes essential to educate the farmer and provide knowhow on adoption of proper technology and tools to help conserve water. CII-TWI is working on awareness dissemination for farmers. Lastly, CII has extensive outreach programs which recognize efforts in water resource management. The CII National Awards for Excellence in Water Management is one such program. The Awards aim to inculcate water awareness and emerge as a coveted aspiration. There is an immediate need for building general awareness on the necessity of water conservation. We need an integrated approach that involves efforts of every stakeholder, be it government, private bodies, and most of all, the general public. Water security is not only paramount to our survival, but also essential if we are to improve human development outcomes and drive economic growth.